Regenerative Thermal Oxidizers from Turner Enviro-Logic destroy Volatile Organic Compounds (VOCs) from industrial air streams. It's important to keeping our air clean. 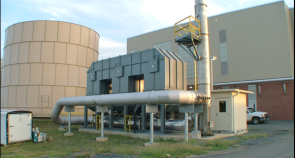 Discover the wide variety of air pollution control systems Turner EnviroLogic has to offer. For up to 99% VOC destruction efficiency and 95% heat recovery, Turner Envirologic's RTOs is the perfect, cost effective choice. When 99%+ destruction efficiency is needed, multiple chamber, industrial RTO equipment is the way to go. Talk to our engineers for more details. CB Power and Industrial Equipment has been sourcing and servicing industrial equipment for over 50 years. 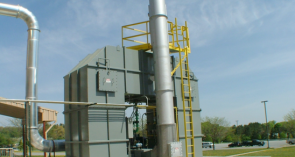 We can help you select the right thermal oxidizer.